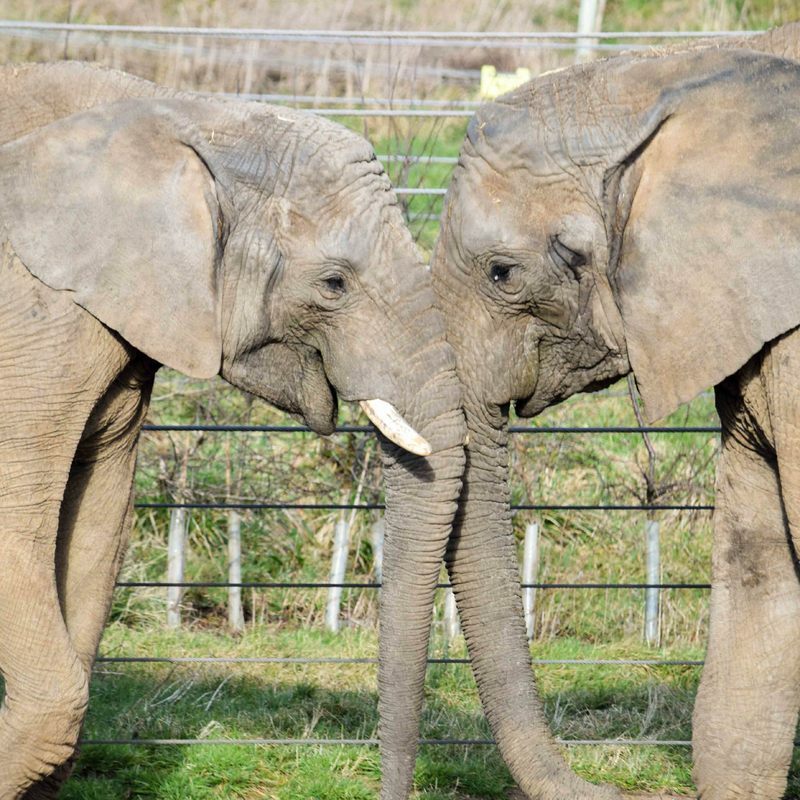 Noah’s Ark Zoo Farm is currently home to two young African bull elephants, 9-year-old M’Changa and 12-year-old Janu but we are thrilled to announce that we will soon become home to more African bull elephants. 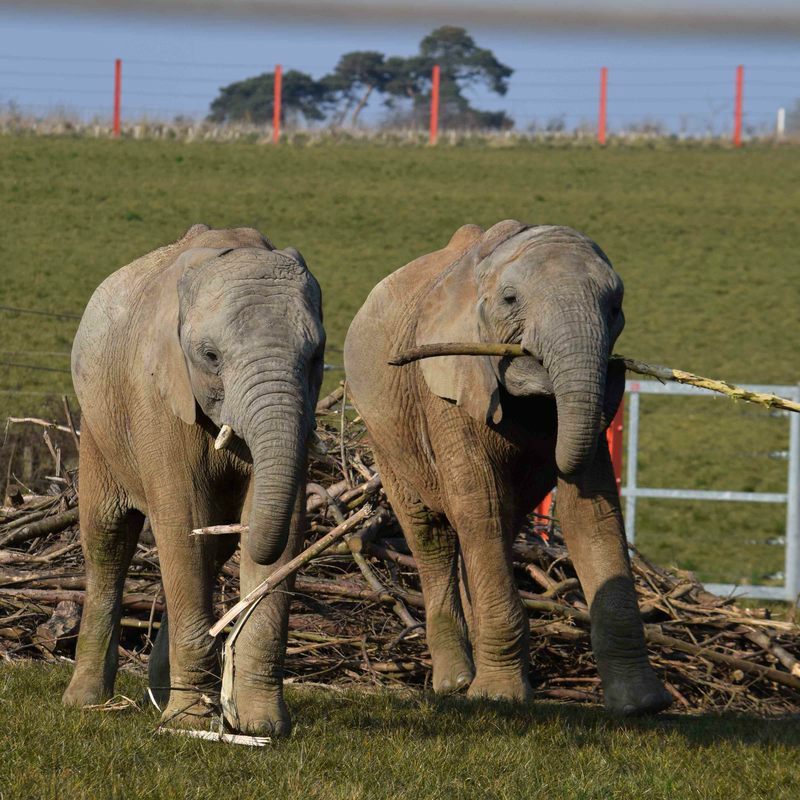 We plan to put our 20-acre Elephant enclosure to good use and provide the home for the UK's only African elephant bachelor group – an initiative which has been welcomed by the European Endangered Species Programme (EEP) for African elephants. The EEP’s international breeding programme supports conservation through breeding species, including African elephants, which are at risk of extinction in the wild. By building up and maintaining genetically healthy populations, zoos who are members of the EEP are providing back-up for endangered species. But this is not as straightforward as simply keeping breeding pairs of animals – it calls for providing for the needs of the animals at different stages of life. Male elephants will naturally leave their family group once they reach adolescence. The males will then group together with other solitary males to form bachelor groups. These bachelor groupings are important for young bulls to learn social skills and new behaviours from the older males. There will typically be one large dominant bull who will guide the younger bulls and sort out any disputes amongst the group. Once they reach sexual maturity large bulls will visit female herds to mate before leaving again. To mimic these natural behaviours, breeding herds of elephants in zoos will have just one breeding male along with several breeding females. This means that there may be a surplus of males within the wider zoo population. Bachelor groups are therefore needed to provide homes for these surplus males with the aim for them to one day be transferred out to a breeding facility to become breeding bulls themselves and to contribute to the breeding programme. African elephants are the largest land mammals on earth and therefore expanding an established group is no easy task. But our experienced elephant keeper team will be working alongside the leading elephant specialist, Alan Roocroft. Bull elephants are typically active and playful when living in bachelor groups. They are extremely interesting to watch and offer great opportunities for observational behavioural research. In the wild African Elephants are Vulnerable to Extinction according to the IUCN red list. They are threatened by poaching for ivory and meat and habitat loss by continuing human population expansion. Data released on UN world wildlife day shows that population numbers are still falling as each year more African Elephants are being killed than being born.